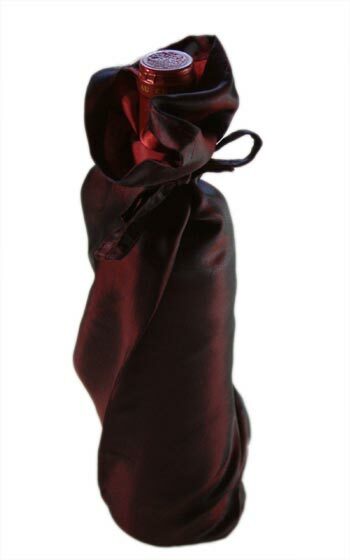 Wholesale wine bags can be used as gift bag or wine packaging. The wine bags are made of 100% silk. Vinodeco also provides specialty wine bag with country flag colors and wine bags with embroidery (eg. merry christmas wine bag). This unique wine packaging is also available as custom made wine bags with your logo. Clothing for wine bottles. 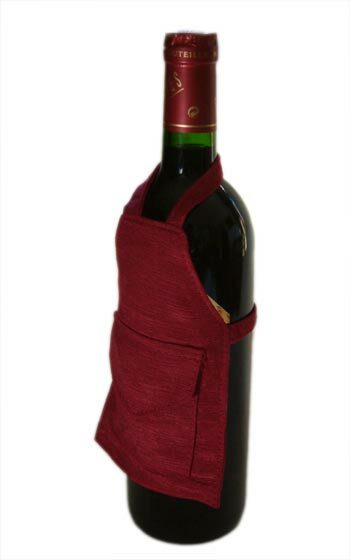 Decorate wine bottles or dress your wine bottle up with our original wine bottle clothing which includes: wine bottle shirts, silk wine bottle kimonos, bottle aprons with a front pocket and courduroy wine bottle jackets. Accessories for wine bottles in our assortiment include decorative drop catchers, wine bottle ties which double as dripcatchers, bowties for wine bottle, heart envelopes to hang from wine bottle, and wine bottle envelopes. We are your source for fine wine bottle accessories and unique wine drip catchers. Hats for your wine bottle. 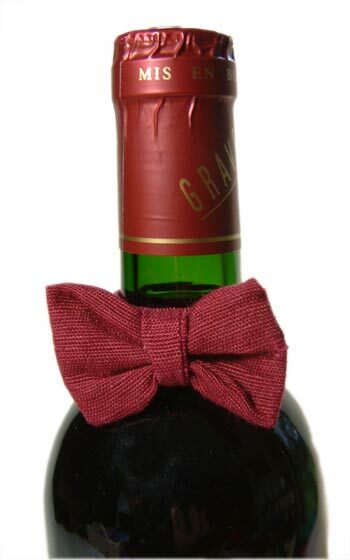 Wine bottle hats are a fun way to decorate wine bottles for all occassions and enable to to still see the wine label. 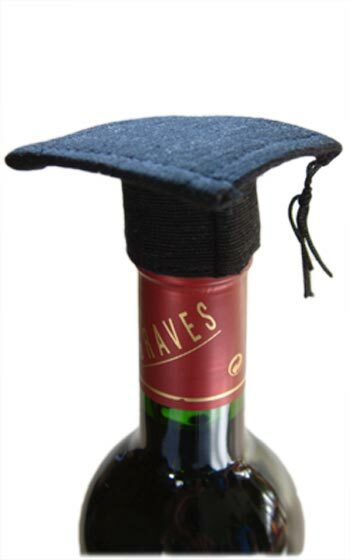 Wine bottle graduation hats combine well with our black kimonos for a complete graduate bottle, Chef's Hats for wine bottles go great with our wine bottle aprons, Santa Claus wine bottle hat for the holidays and bride and groom wedding couple hats for wine as wedding present or anniversary.